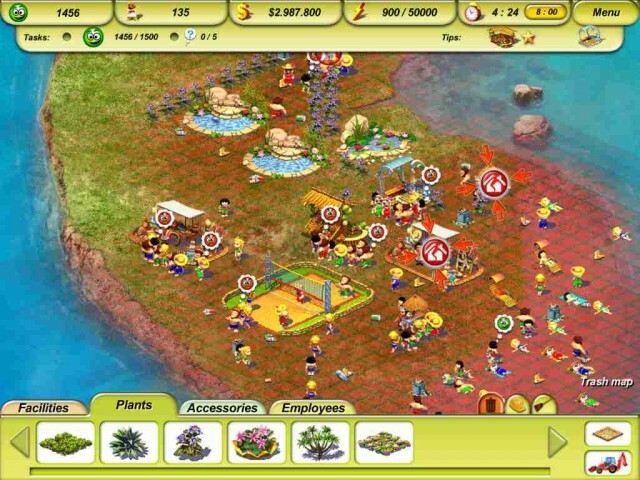 Game Paradise Beach 2. 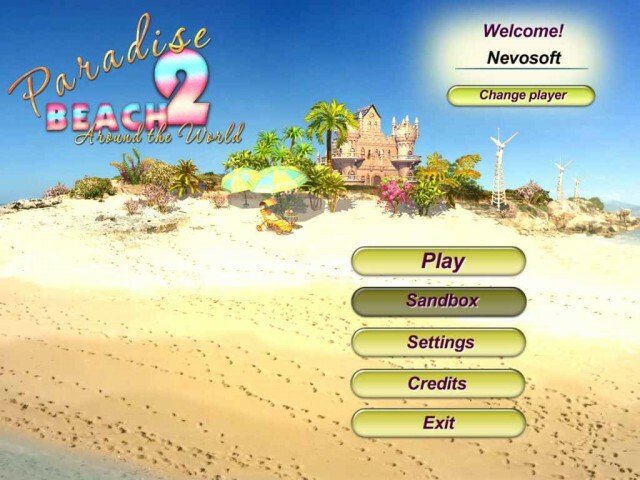 Download game Paradise Beach 2 for free at Nevosoft.Com. 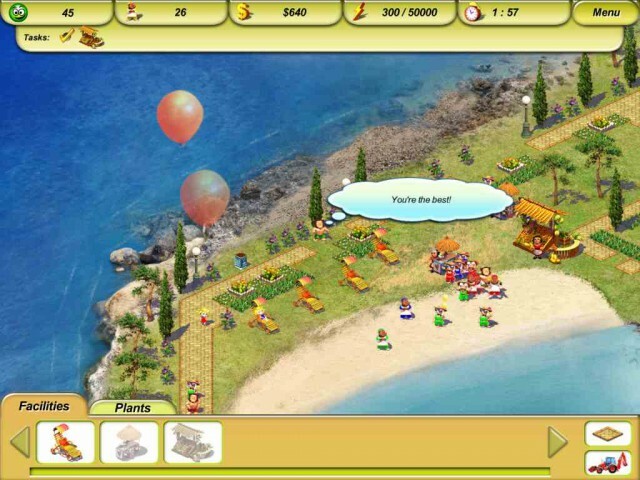 Description, walkthough of Paradise Beach 2, buy game. 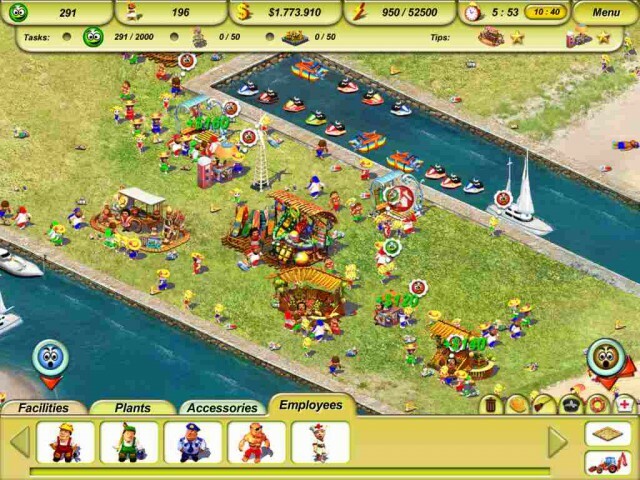 Once upon a time you managed to become the owner of a resort on a paradise beach. You were the architect behind beautiful gardens, paths, beaches, and bars. Empty beaches came to life and were filled with thousands of happy vacationers from all around the world to enjoy your man-made paradise. You experienced a number of trials and tribulations, but in the end you created a successful business from scratch. You were on top of the world with the best resort on the planet! But then you got bored with undeveloped islands that had never seen a tourist. 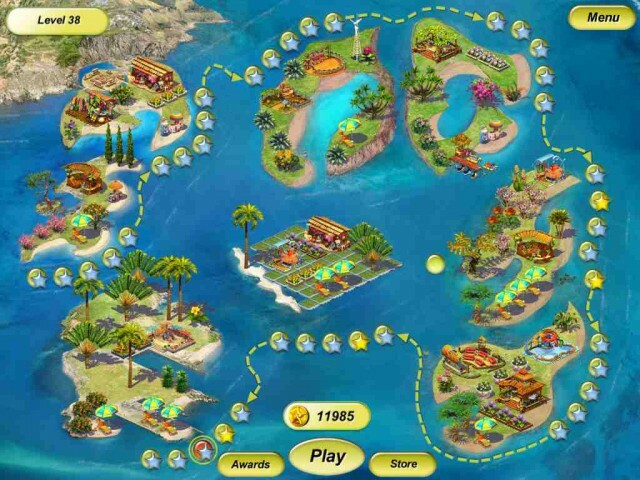 Welcome to Paradise Beach 2: Around the World. New beaches in most interesting corners of the globe await you. Legendary islands in the Mediterranean Sea, secret beaches in China, coral reefs off the Australian coast, and lost islands in the Pacific Ocean. You’ll meet strange animals and amazing people. You’ll witness unbelievable love stories, complete daring business projects, and save endangered species on eight wonderful and diverse islands. There are dozens of plants specific to each climate, and you have total freedom to build and decorate these beaches as you wish. You’re employees, your humble servants, are back to help keep things clean, keep your swimmers safe, and protect your guests. So what are you waiting for? It’s time to have some fun and get to work on your beaches.